Have you ever been to 4ORE? 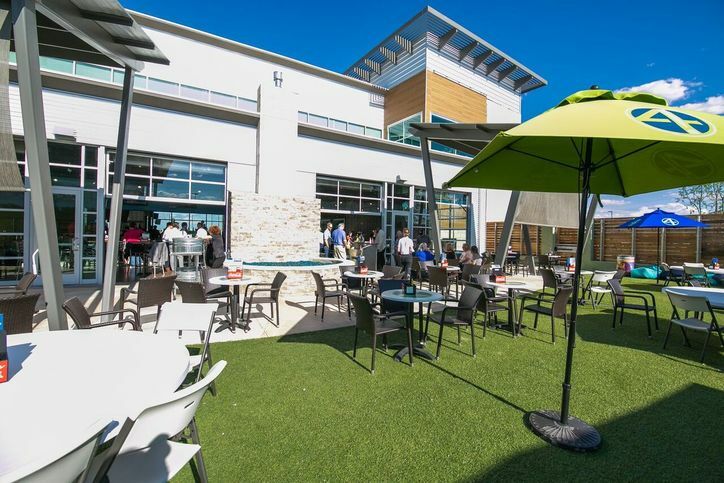 4ORE is an "upscale golf entertainment complex" in Lubbock, Texas that hosts fun games, food and entertainment. 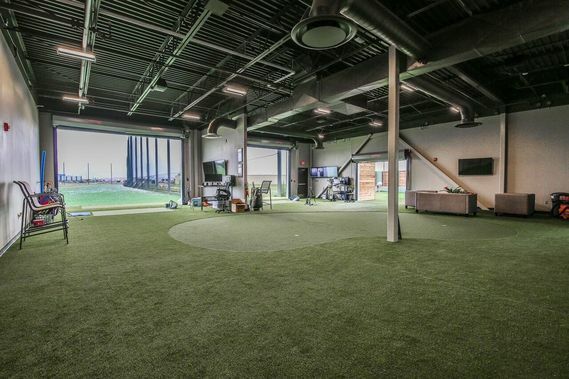 The complex needed door solutions to open up areas to the outdoors like the patio and also a really neat golf school called 4ore Golf Academy. 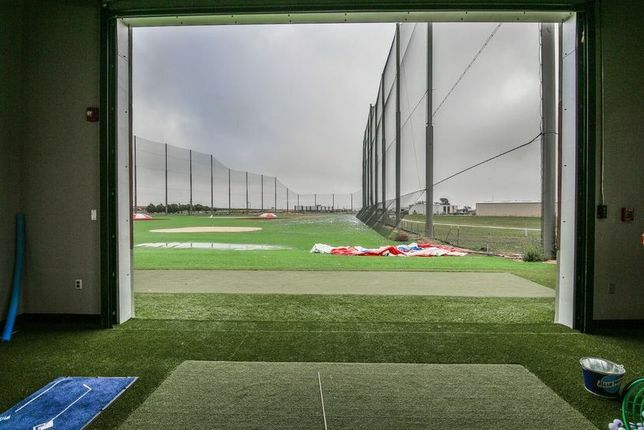 4ORE isn’t your typical driving range and this out-of-the-box entertainment venue called for some unique door solutions. 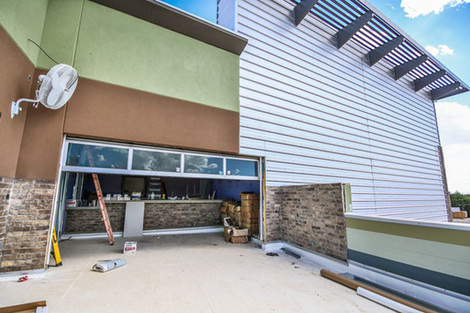 4ORE wanted to mesh it's beautiful outdoor patio with the indoor dining and bar area, so they chose our glass aluminum garage doors. 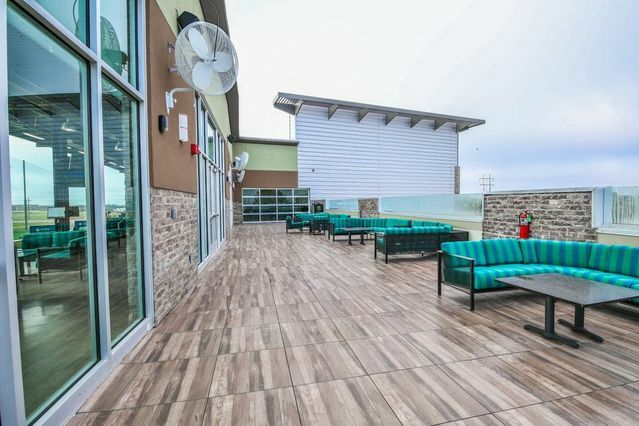 On cool summer Lubbock nights, it’s always nice to get a fresh breeze into indoor areas, that’s why many restaurants and entertainment venues like 4ORE choose these beautiful glass doors. 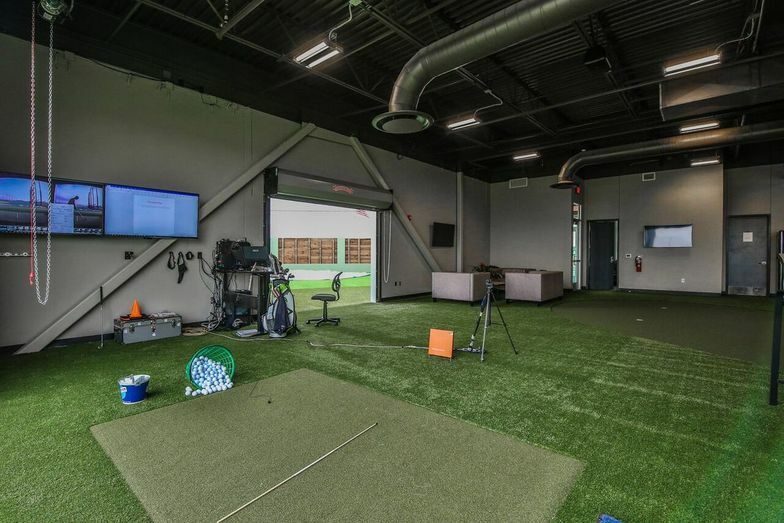 Another really cool feature on this complex is the 4ORE Golf Academy, where we installed three rolling steel doors which allows instructors to easily open up to the driving range or close the doors on colder days. It also provides added security for this golf school that's located on the side of the complex.